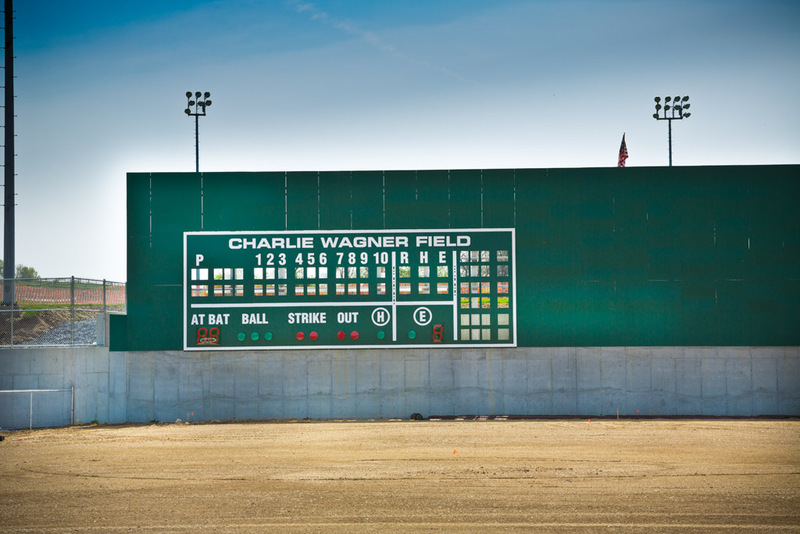 A unique project combining business and pleasure for our staff, the Replica Green Monster at Charlie Wagner Field was the brought to life from the vision of long-time Red Sox fan, local baseball enthusiast, promoter and president of the Big Vision Foundation, Dan Clouser. 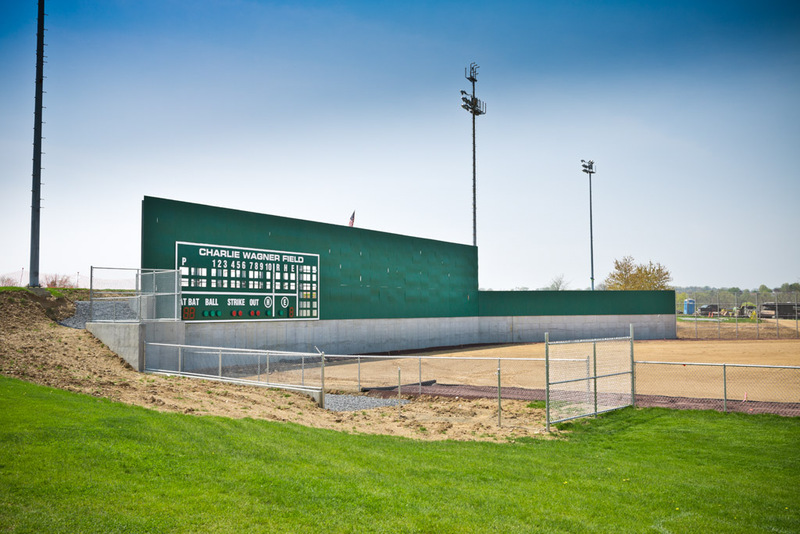 Taking advantage of an existing cut-slope embankment in left field of Charlie Wagner field, a 30-foot high and 130’ long replica of Fenway Park’s legendary Green Monster was constructed as part of the Big Vision Foundation’s master plan of improvements to the County’s Youth Recreation Fields. 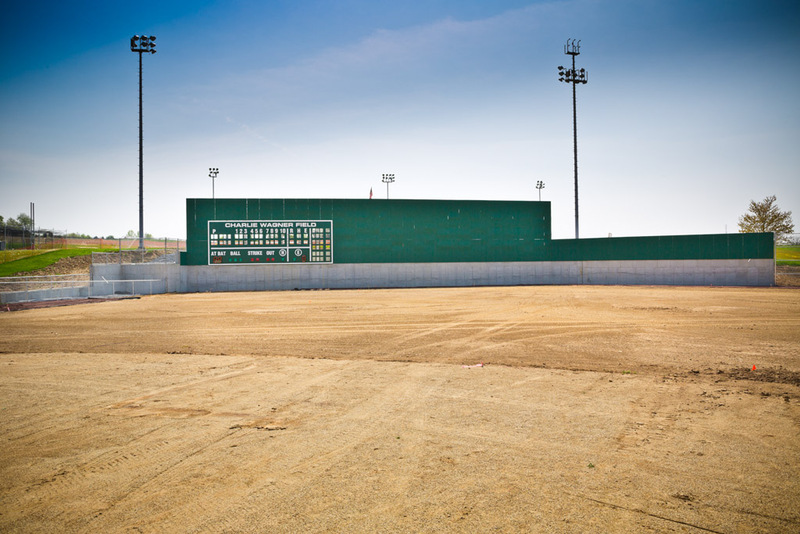 The wall itself consists of a 12’ high concrete retaining wall acting as the foundation for an additional 18’ high series of steel supported plastic wall panels recreating the look of the Green Monster. Our survey group prepared base plans and provide construction stake out services for the project. Our architectural design group worked closely with our client on the appearance and dimensions of the wall as well as installation of a hand-operated scoreboard within the wall. Due to its location atop elevated terrain within a relatively open area of the Township and given the height of the exposed wall face, our design group had to balance design parameters with the client’s aesthetic vision of the finished wall. Other plan design elements for the County Fields included a walking path, retaining walls, and stormwater management best management practices. Our site design group provided project management services obtaining land development approval, construction permitting, as well as Erosion and Sediment Control and NPDES permit approvals from the Berks County Conservation District. This project was also a design-build endeavor as the Forino Company completed the site work and wall construction. As such, our design group assisted the Forino Company with construction management of the project providing stakeout and inspection services. For many of our baseball-loving staff members, this was considered a pet project…even for the Yankees fan in the group!